Danielle Daws: JAI52 - Better Late Than Never!! You might not be able to see it very well, but the embossed pattern on the middle layer is made from Awash With Flowers. Make sure you check out the fabulous DT examples too. Thanks for stopping by! 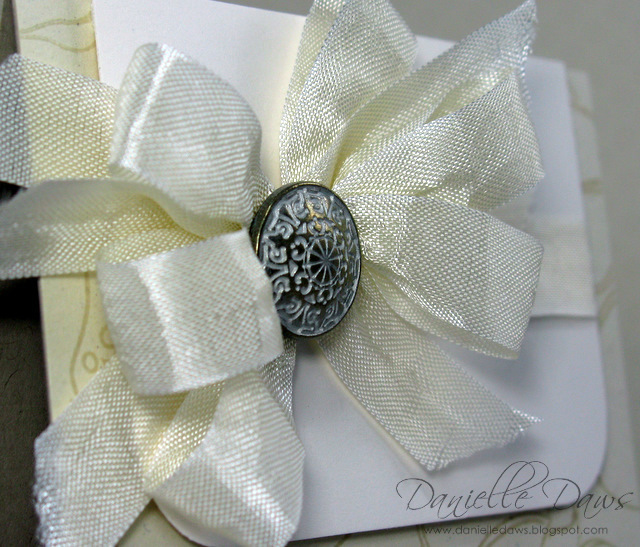 An absolutely stunning card Dannielle. But where did you get the beautiful seam binding? Couldn't see it in the SU catalogue, maybe I haven't looked properly. Beautiful! 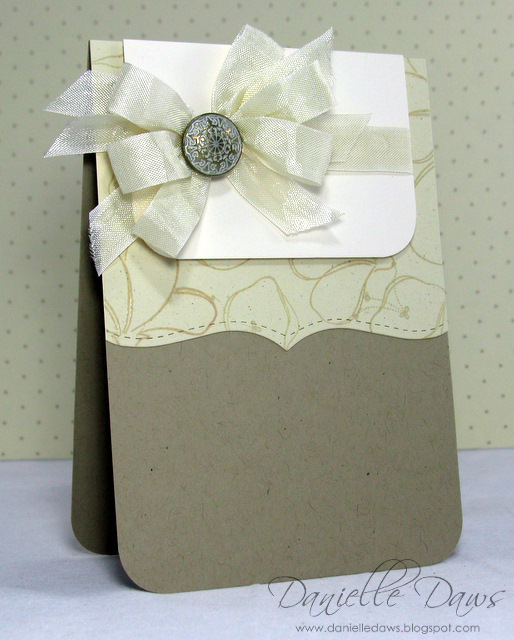 Love the 'fussiness' of the bow against the clean lines of the card. Gorgeous embossed panel. Love it all, really! Stunning card Danielle. Love all your design elements.